Retin-A (Tretinoin) is regarded as the most commonly used remedy for the treatment of acne, it has also been shown to help in the reduction of notable signs of ageing by helping to remove ae lines and helping to diminish sun spots. Tretinoin is really a synthetic analogue of Vitamin-A which executes the purpose of your skin regeneration and keeping it in a good state. Additionally, it is utilized in addition to topical hair loss medications. Retin-A is often used in along with the FDA-approved hair loss treatment called minoxidil, which has the brand name brand name Rogaine or Regaine. Usage of this remedy along with Minoxidil for hair loss works well due to the Tretinoin (active component) ability to help to increase the cell reproduction and speed up dead cell removal and also appears to be capable of increasing the penetration and absorption of minoxidil. Retin-A may be purchased without a prescription, however, is it extremely important to read to instruction and use and follow all precautions. You should apply Retin-A quite sparingly to the scalp approximately fifteen minutes before application of Minoxidil. 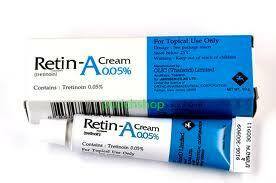 Tretinoin is well tolerated among most sufferers. It is extremely safe when employed in accordance with your doctor’s supervision. Stinging, redness or peeling of the skin may occur. Adverse reactions may subside when your skin adjusts to the medication. Avoid being exposed directly to sunlight.